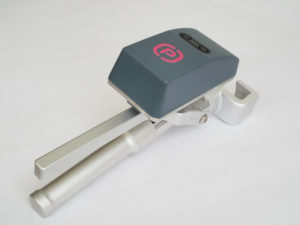 PROSE was founded in 1982 and is an independently owned mobility solutions provider, with emphasis on rolling stock engineering, serving customers world-wide. 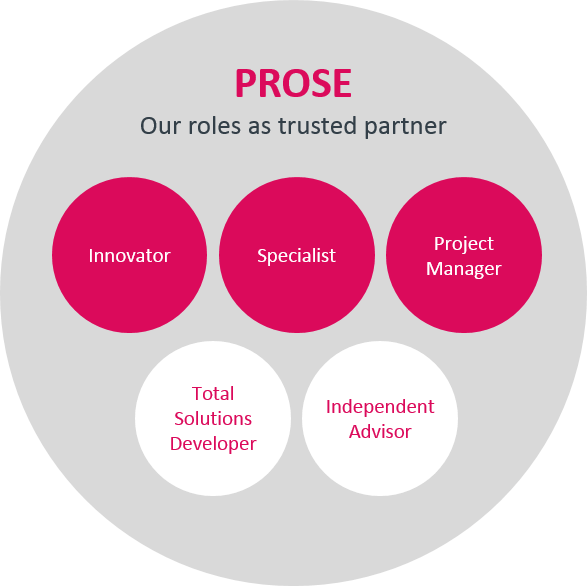 PROSE has offices in Denmark, Germany, Italy, Sweden and Switzerland. PROSE is employee-owned. This lets us guarantee neutral and independent engineering services and consultancy. We work for our customers and ourselves – and no one else. Our customers – manufacturers, operators, authorities and maintainers – trust us to deliver total solutions to complex challenges. These solutions often bring several of our services to bear. Our deep understanding of our customer’s business lets us provide high-quality, cost-effective A-Z engineering solutions. With more than 200 dedicated and experienced employees, we solve our customers’ global mobility challenges, wherever you need us. With more than 30 years of experience and over 3000 successful projects completed or underway, PROSE is the partner of choice for engineering tomorrow’s mobility. We support manufacturers in new developments and refurbishment projects – for components and whole systems – throughout the engineering and production process. Our services cover industrial design, mechanical, electrical and electronic engineering, software development, running dynamics, RAMS and much more. As an accredited test laboratory, we can carry out a wide variety of measurements in the area of railway vehicle technology and operations. In addition to managing the entire homologation process and providing documentation support and training, we deliver products such as instrumented wheelsets and spare parts based on customer specifications. On the basis of our holistic approach, we provide operators with strategic support; specification assessment and procurement management from bid evaluations to production supervision; and cost-focused and global optimisation of the maintenance process and warranty follow-up. We also provide neutral expert assessments of rolling-stock running gear, running dynamics, structural strength and durability, fire protection, noise and vibrations. We provide authorities with neutral expert assessments of all kinds of technical rolling-stock issues such as structural strength and durability, running dynamics, safety, fire protection, and noise and vibrations. This can include train testing and investigations into derailments and other accidents. As an accredited test laboratory in the railway field, PROSE performs measurements in conformity with the latest regulations and standards. We are expert advisors on performance-focused and global optimisation of the maintenance process. This includes rolling stock, depots and their interfaces. We combine our extensive know-how in the engineering and technical documentation of rolling stock with our expertise in maintenance methods, depot layouts, equipment and software. We also improve, develop and deliver spare parts. This allows us to solve customer challenges such as optimising vehicle design for maintenance, creating maintenance documentation, solving spare part problems, assessing safety-related issues, optimising a new or existing depot and developing special handling tools.